Home / Stock Picks / Hot Stocks / Is Bank of America Stock’s Earnings Beat Worth 7%? Is Bank of America Stock’s Earnings Beat Worth 7%? Bank of America got a big boost from better earnings but is it now the best bank to own? 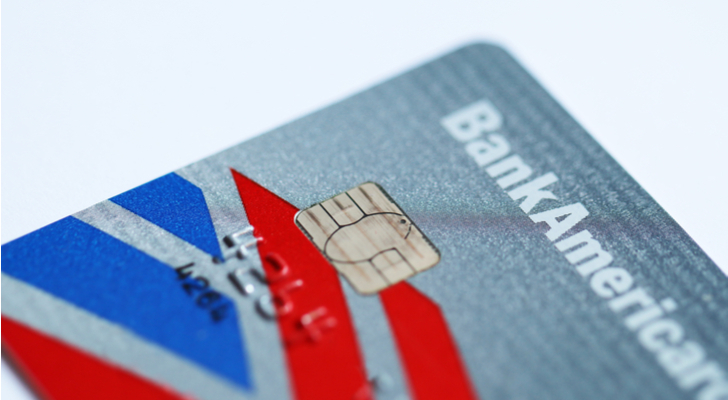 Bank of America (NYSE:BAC) had a good fourth quarter and was richly rewarded for it. Net income of $7.3 billion, 70 cents per share, sent investors into raptures. BAC stock jumped $1.24 per share in pre-market trading, and have logged a gain of over 7% during the day, a $12 billion gain in market cap. JPMorgan Chase (NYSE:JPM), meanwhile, reported nearly the same net income, $7.06 billion, on $4.5 billion less revenue. Those shares barely budged. But is Bank of America really a better bank, or a bank that is just doing better? Its price-to-book remains below that of JPM, and its dividend yield remains almost 1 percentage point less than JPMorgan Chase’s. There’s a lesson for investors here, which is that, especially when it comes to bank stocks, the long-term matters more than the short term and success is always relative. Bank of America’s “beat” was only by 10% over estimates, with analysts having expected 63 cents per share, not the 70 cents the bank reported. In 2017, Bank of America took a big charge against earnings, preparing for the tax cut that came into effect last January. As a result, its profits for the fourth quarter of 2017 were just 20 cents per share. This helped make its 2018 earnings look better by comparison. Bank of America’s biggest gains came in consumer banking, where revenue was up 10%. Loans jumped 5% and net interest margin rose to 2.48%. This more than offset problems at the investment bank, where trading revenue fell short of estimates, and fees fell 5%. Consumers, not trading and deal-making, were behind Bank of America’s beat. That’s great, so long as the consumer is in good shape, but with the impacts of the government shutdown forcing it Bank of America to roll out assistance programs to affected workers, this may not be true going forward. The most important reasons to own big bank stocks are safety and income. Over the last year, Bank of America shares have lost almost 9% of their value, about the same as JPMorgan Chase. Both did much better than Citicorp (NYSE:C), down nearly 19%; Wells Fargo (NYSE:WFC), down 22%; and Goldman Sachs (NYSE:GS), down almost 24%, although the headlines on the latter three today are all positive after they beat lowered analyst estimates. Then there is income. Dividends can compensate for a lower stock price, if the fall in that price is temporary and the business remains sound. Citicorp offers a yield of 2.9%, but it has been the sickest of the big banks ever since the Great Recession. Wells Fargo yields 3.5% but, as previously noted, the stock’s fall in the wake of continuing scandals has been sickening. Goldman Sachs, with a yield of just 1.6%, less than a government bond, barely registers. Bank of America is presently yielding 2.1%, but you’ll get 3.1% on your investment in dividends from JPMorgan Chase, whose balance sheet is also the strongest in the industry. When reading bank earnings, remember why you buy bank stocks. If you need an old song to get in the mood, go for it. Just remember that you’re looking for security and income. Bank of America has become a more secure bank over the last decade. Please don’t read any criticism of CEO Brian Moynihan into this. It has a Tier One capital ratio of 13.2%, just about as high as JPMorgan Chase, if less consistent. But Bank of America is depending far more on its consumer bank than JPMorgan Chase, and its yield remains much lower. It’s getting better, but you want your holdings to be best. Article printed from InvestorPlace Media, https://investorplace.com/2019/01/is-bank-of-america-stocks-earnings-beat-worth-7-percent/.